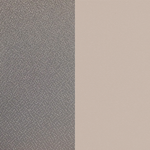 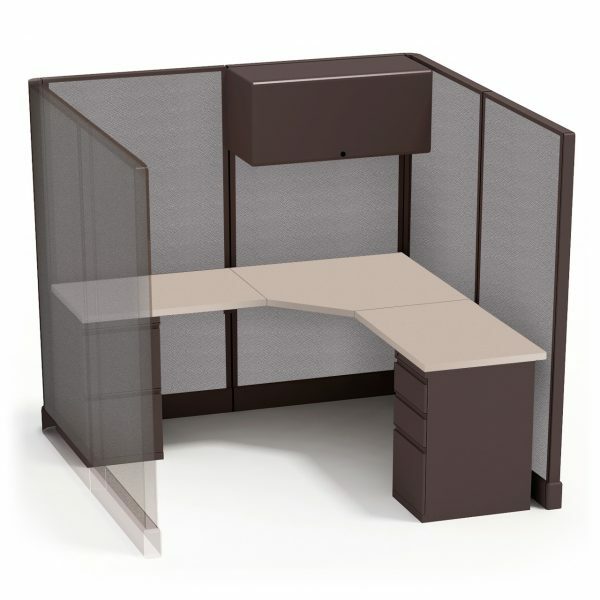 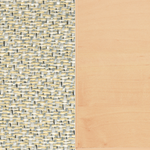 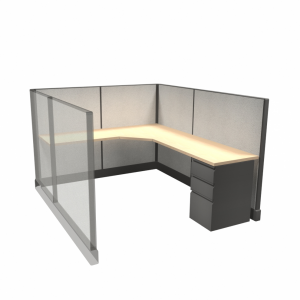 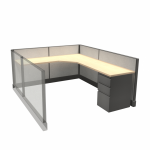 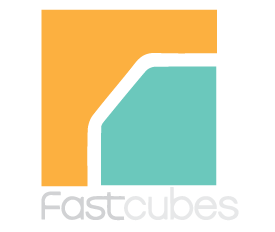 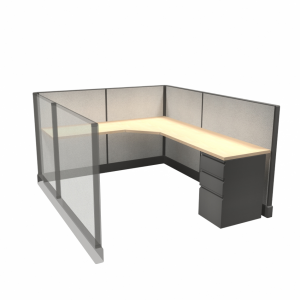 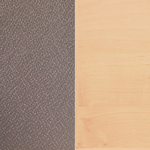 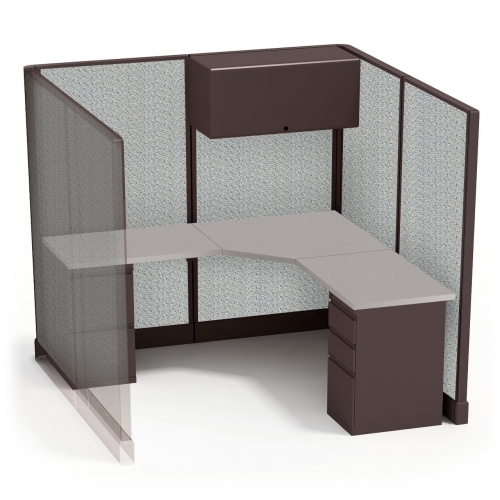 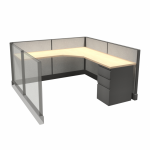 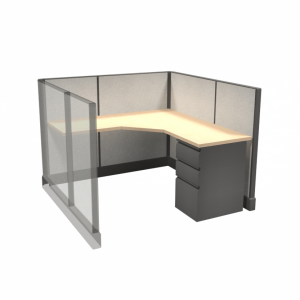 A very popular and common workstation cubicle configuration, the 6’x6’ cube provides a curved work surface and fits well into most managerial workstation floor plans. 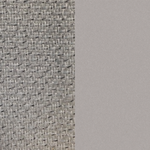 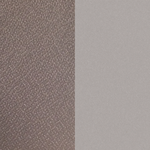 This cubicle configuration offers enough space for computer use, file management and writing purposes. 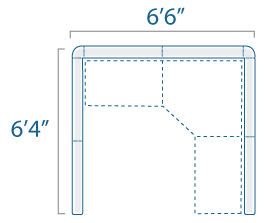 The 67’’ high cubicle walls are tall enough to provide optimal privacy than its 53’’ H counterpart.Options such as electrical distribution, various forms of storage and shelving, task lights, tack boards, keyboard trays and center drawers are available on this cubicle set-up.